It took Halfbrick too long to make it to where a player can start a new game from scratch! !...Like was it really that difficult lol? If I could give it zero stars I could. I used to play this all the time. I had it hooked up to my google account and all my data was on there. Now there is no longer an option to sign into google. When I open the Fruit Ninja app, there is a notification saying that FN has a new update, but when I click 'Update,' it redirects me to the Fruit Ninja page on the App Store and there is no 'Update' option, just 'Open.' If there really isn't any update please fix the notification problem. If there is, please fix the update issue. I used to play this game back when there were missions to obtain blades. that was fun, but I like this version better because now the blades have powers which is so much more entertaining! however, the missions were more fun than the challenges that the game has now to level up. I don't mind the levels, it gives the player something to work towards, but the challenges to level up can get repetitive (they often repeat) and some are too easy/boring. as you level up, the challenges should get harder, or bring in the old missions to get blades and make them challenges to level up instead. that would combine what the old fans of the game miss and what the new fans of the game love. 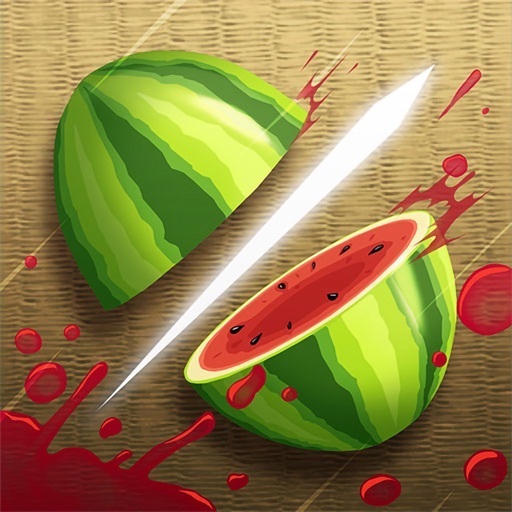 otherwise, I love fruit ninja!! I play all the time. BUG: Why isnt there a bonus point for 1111 - quadraple points. Suggestion: I dont understand why the game doesnt have a bonus point for four same digits. (for example, 1111) I know your game has a bonus point for triple digits - for example, 111,222,333. I had it for a few days, hit level 36 and then I saw that it got very hard to level, no way! 100 levels! Not going to happen... My fingers will wear off by then. Fun, but will wait for an update. For some unknown reasons every time I open this game, it says that there is a new version of it? Is there or is there not? People such as myself miss the old version, when the game was First released. You should add the old version to the game and allow the people to chose if they wish to play the new or old version because the new version of the game is just ridiculous and boring... the old version was challenging and was more intense because you had to be good at the game in order to get a good score than getting spoon fed and getting points as if it's something that should happen. I bought it and to this day it will not allow me to download it I'm so mad I waisted two dollars on this I could have fed three families with that!